Outdoor food truck destination The Garage has opened at Cordis, Hong Kong, bringing an urban food culture experience to Mongkok. By renovating the outdoor space formerly known as The Backyard, Cordis has created more space and seating, making it an ideal spot for food trucks. 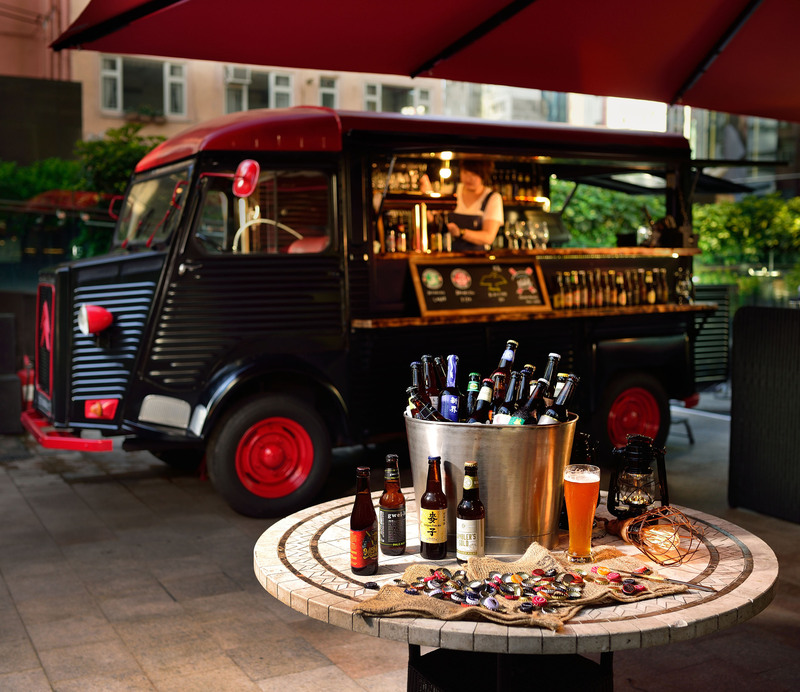 The Garage Bar is made up of two Citroën vans from 1966 and 1972 and blends in a western dining menu with traditional Asian flavours, created by Culinary Director, chef Paul McLoughlin. The space will also appeal to craft beer enthusiasts, with one of the trucks featuring nearly 40 local and international craft beers from around the world. Managing Director of Cordis Hong Kong, Shane Pateman said, “Cordis, Hong Kong has always been devoted to providing the highest quality of dining experience to our guests. So, to introduce a different side of American food culture for our guests, we have redesigned our outdoor patio as The Garage Bar”. 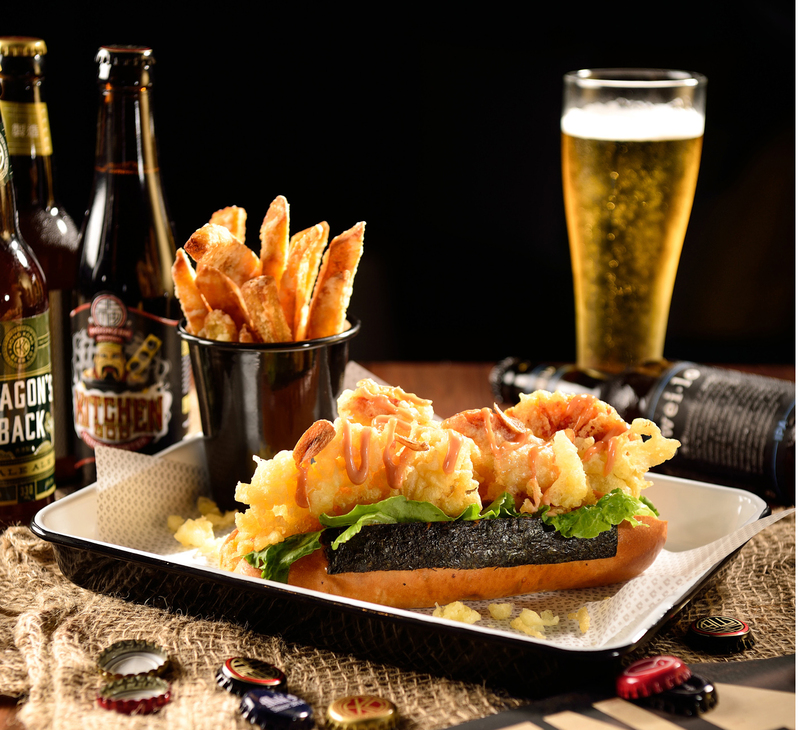 The western style food menu highlights dishes such as the Hongkongese Burger- a New Zealand steak burger in a bamboo charcoal pineapple bun (bolo bao), and Ninja lobster roll with Boston lobster tempura. There’s also a tasty Crab and Cheese melt sandwich, and for the sweet tooth Garage Bar offer a sweet a Churro Cherries Dulce, an all-time favourite churro banana split. Beers at The Garage Bar will feature local breweries such as Nine Dragons Brewery, Hong Kong Beer Co, Gweilo Beer, Moonzen Brewery, Lion Rock Brewery, Mak’s Brewery, City Brew, Black Kite Brewery, and international labels such as Brooklyn Brewery, Kaiju, De Molen and more. The Garage Bar is now open from 5pm-late Monday to Sunday.